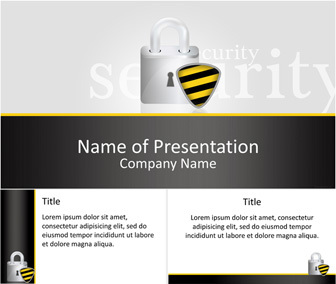 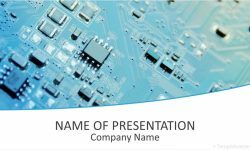 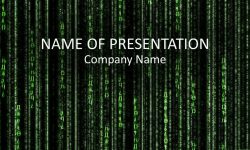 Present your services and ideas with this security PowerPoint template. 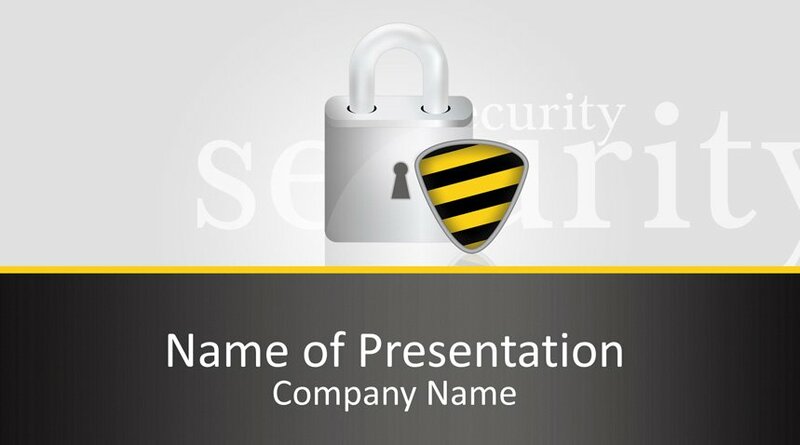 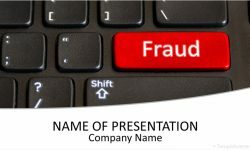 The title slide features a lock and a shield on a metallic grey background. 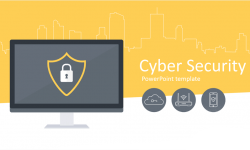 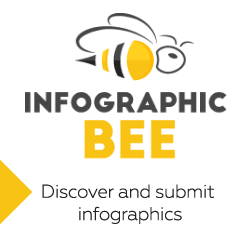 This theme could be used for presentations on cyber security, data protection, online safety, etc.